Mixed classes with students from grades 1 and 2 will compete in the Little Monkeys category. 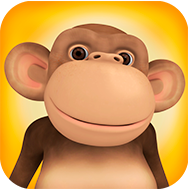 Classes with students from grades 3 and 4 will compete in the Junior Monkeys category. If a mixed class has a grade 3 or 4 class, then it will automatically be assigned to the Junior Monkeys category.